AAJ SAWERA SOCIETY is located in Delhi Delhi . AAJ SAWERA SOCIETY is registered as a Society at Delhi of state Delhi with Ngo unique registration ID 'DL/2012/0051892' . 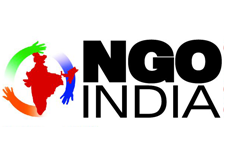 The NGO registration is done by Registrar of Societies with registration number s/64638/2009 on the date of 05-02-2009, Its parent ORganaisation is PaulFoundation. The Chairman of AAJ SAWERA SOCIETY is Sayed Athar Ali and Chief functionary officer is Sayed Athar Ali. Promoters are Afroz Ahmad, Jabbar Ali, ,. I have done many work in diffrent field, like environment conservation and sanitation copain, women and child develpment, self employment and income generating activities, family welfare programme, Aids awarness, vocational training, rural development, drug dedication, Sc, St and muslim welfare, primary and adult education, communal horemony and national intigration.